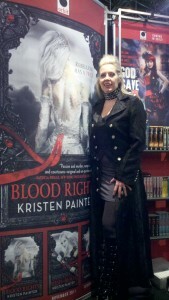 On Saturday, I dressed up like a noble vampire! 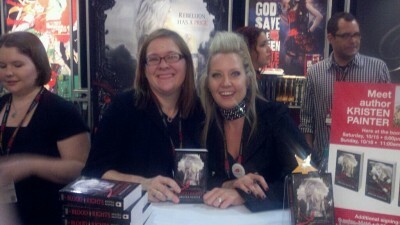 At the signing that day, the lovely Marnie Belle stopped by and we took this picture together. 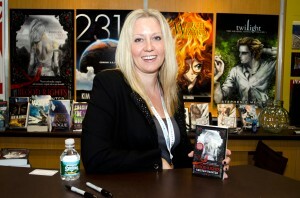 Here I am doing my first signing at BEA!